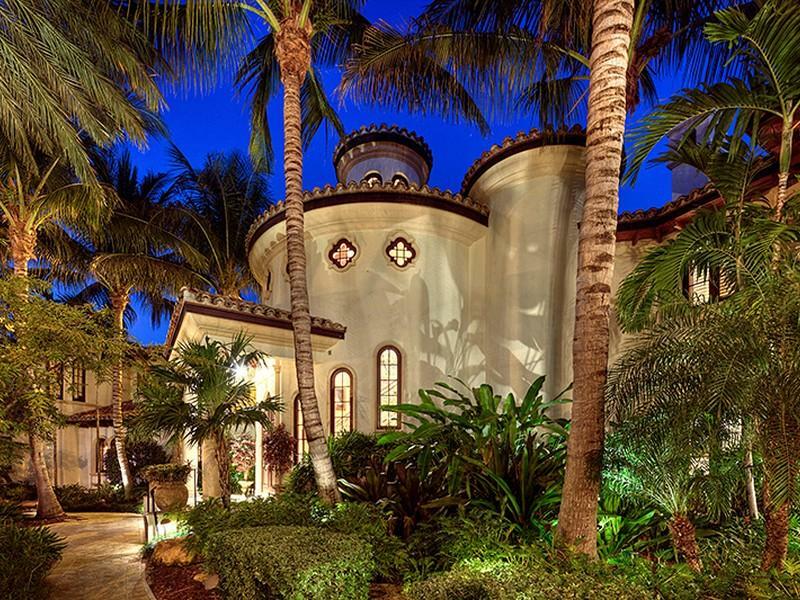 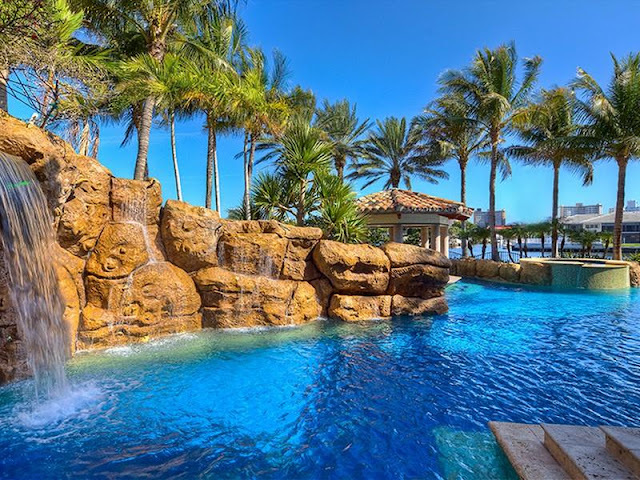 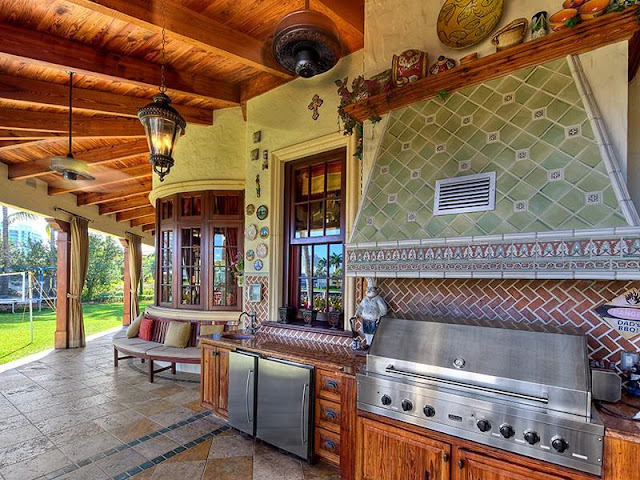 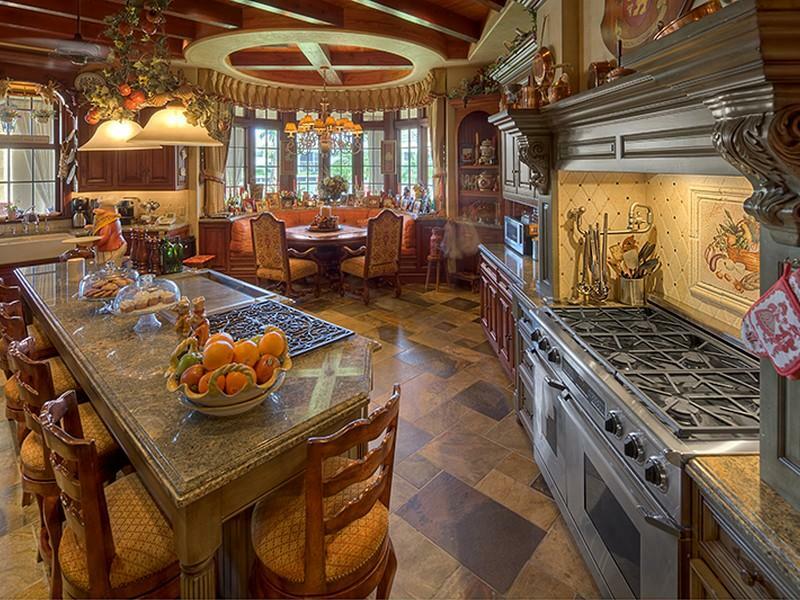 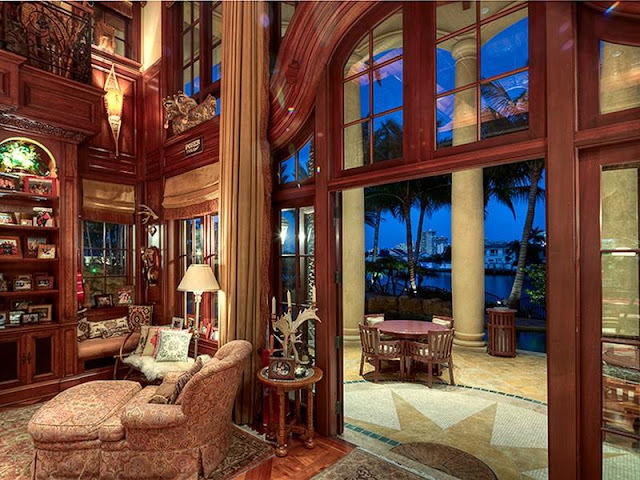 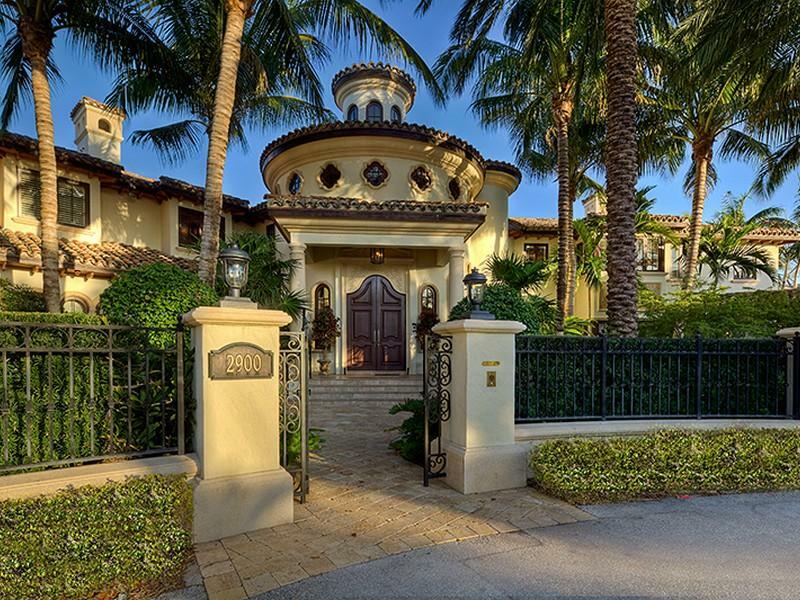 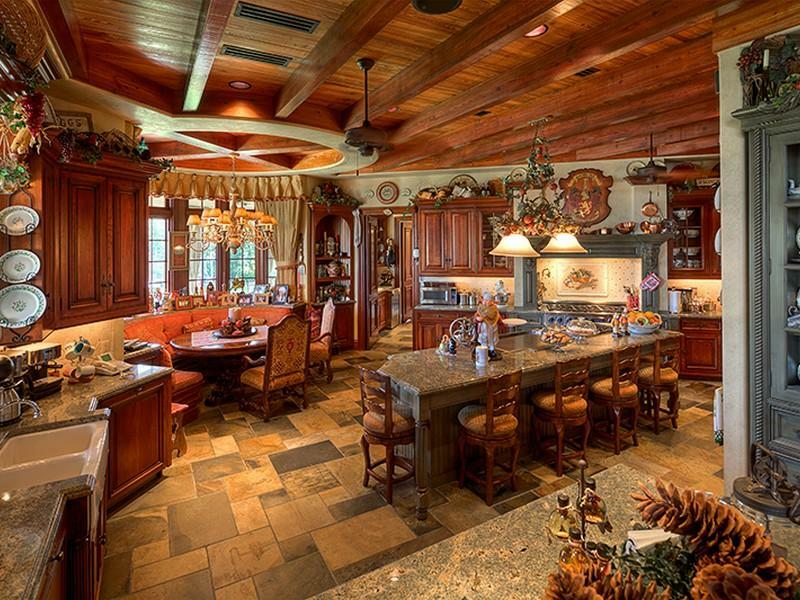 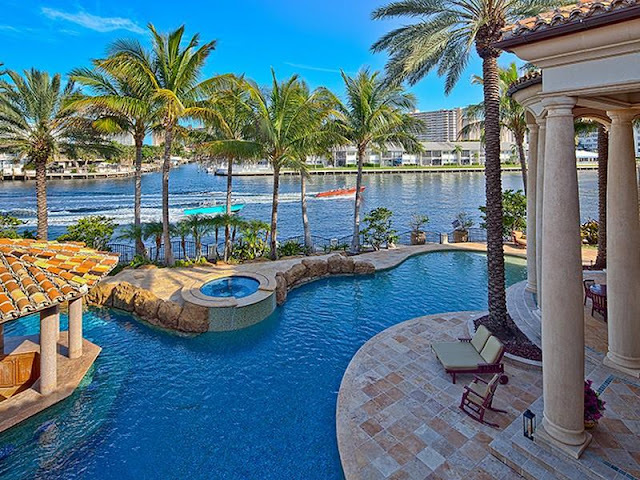 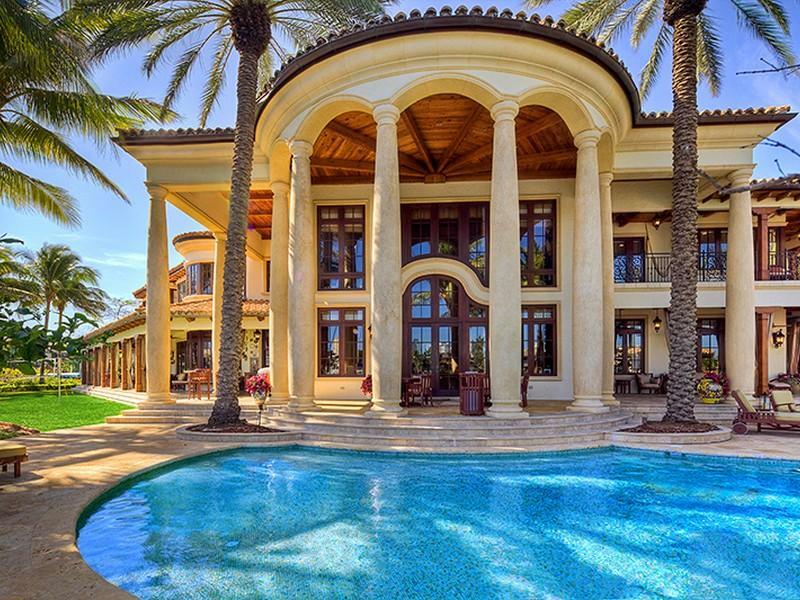 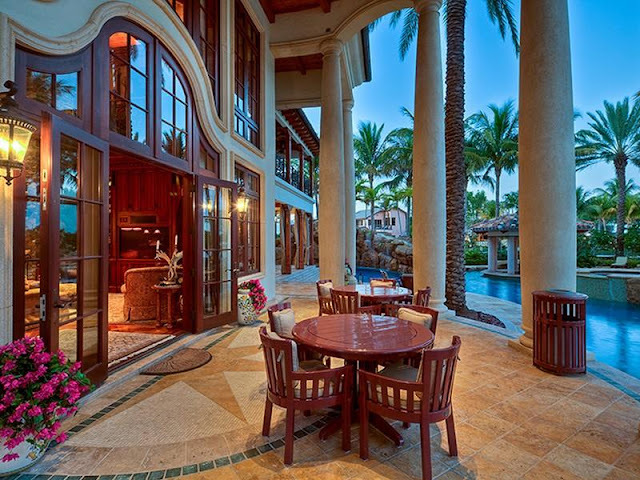 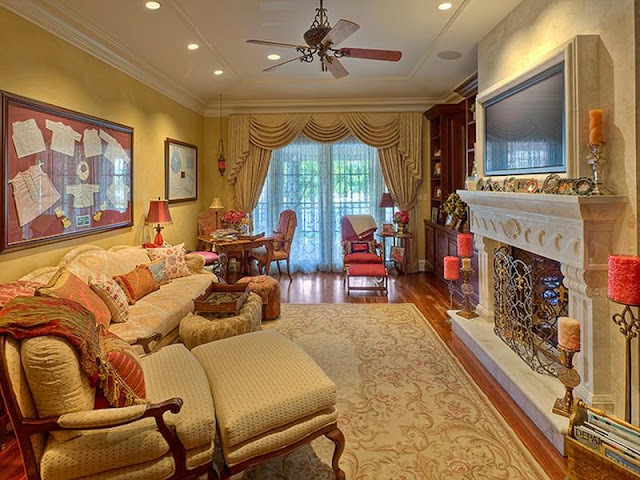 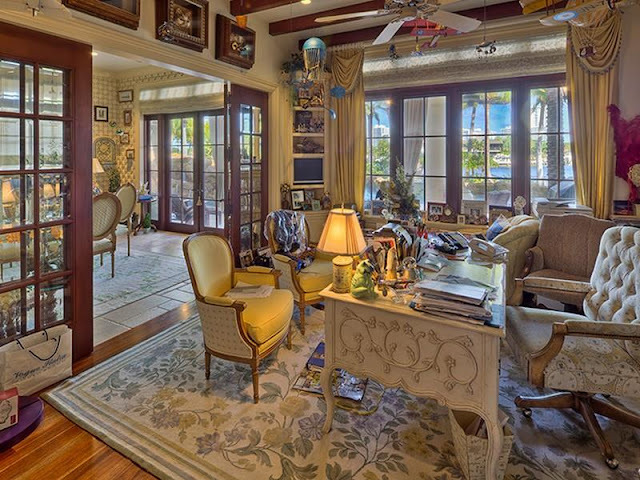 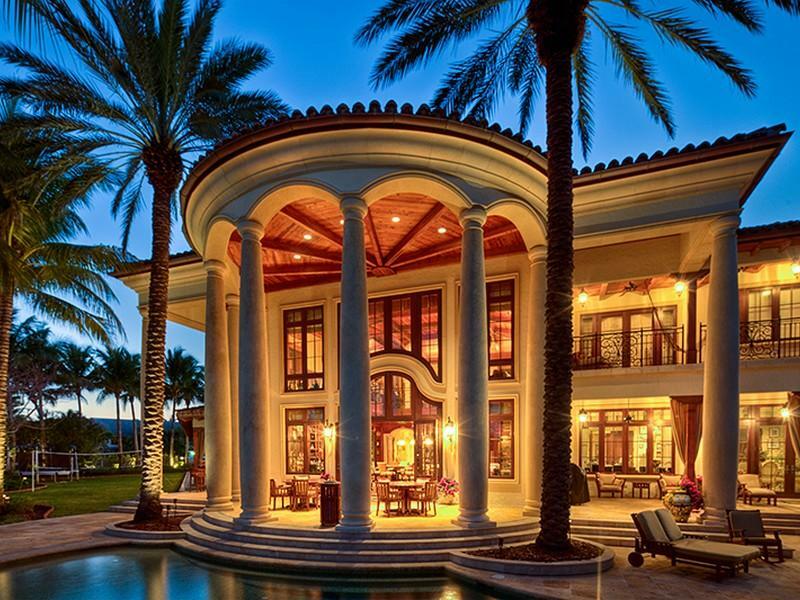 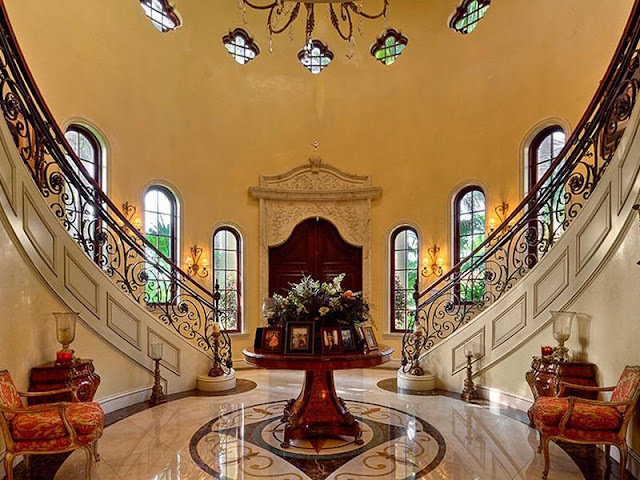 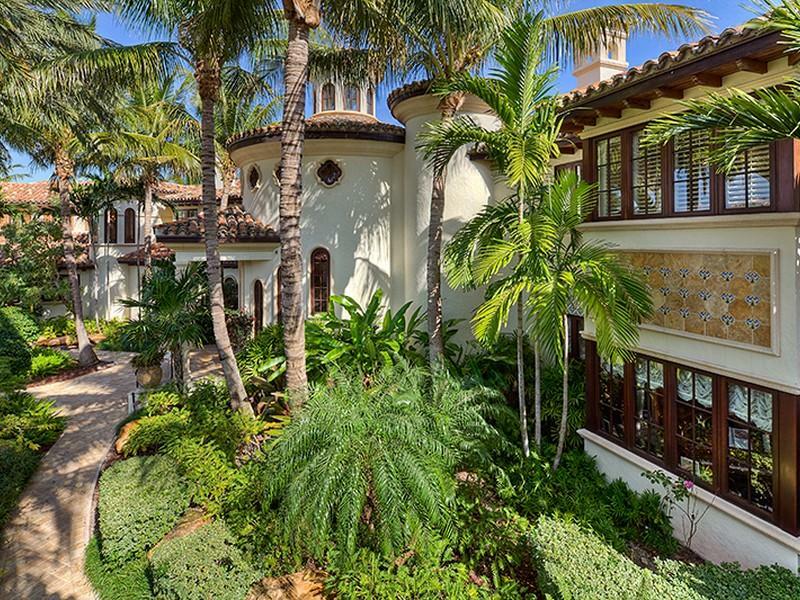 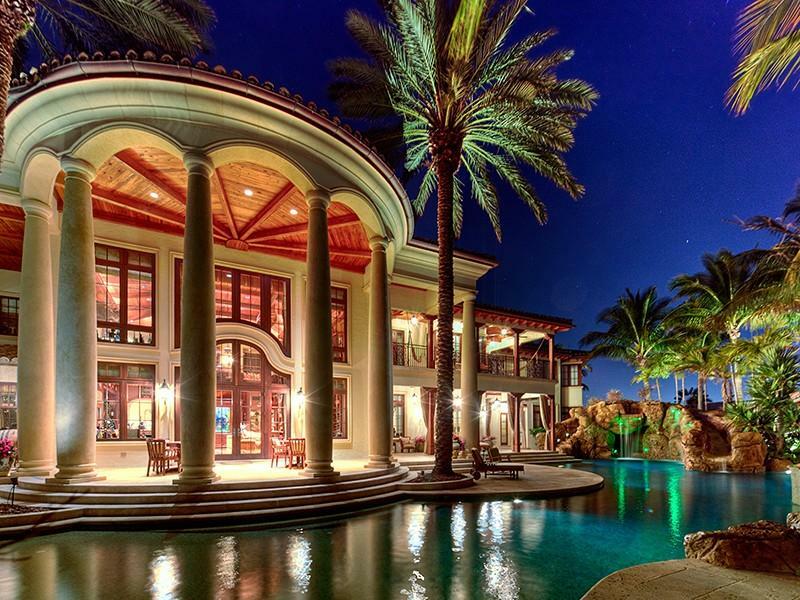 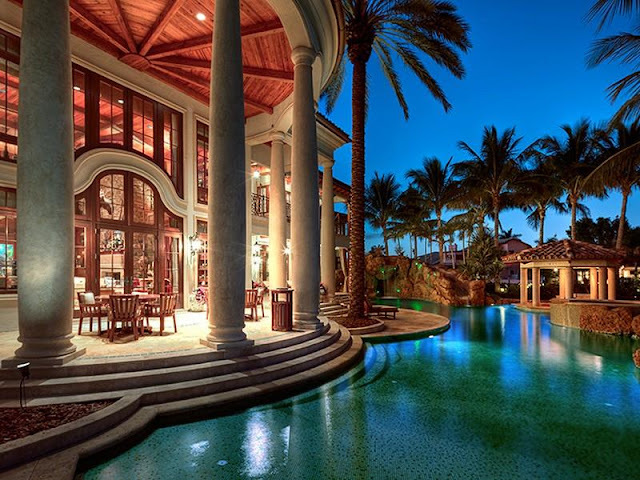 This huge Mediterranean-style home is located in Fort Lauderdale's waterfront, Florida. 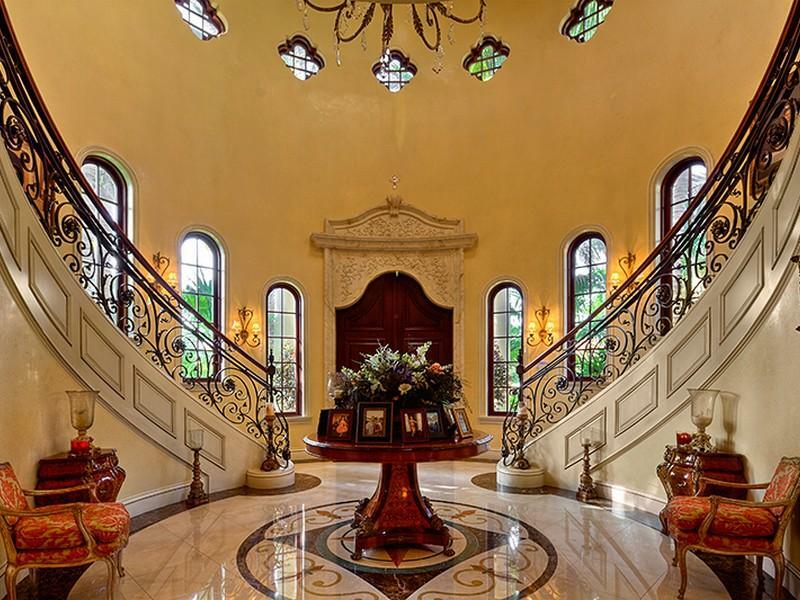 The mansion is screaming details, details and more details. 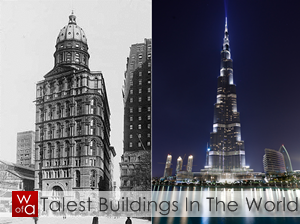 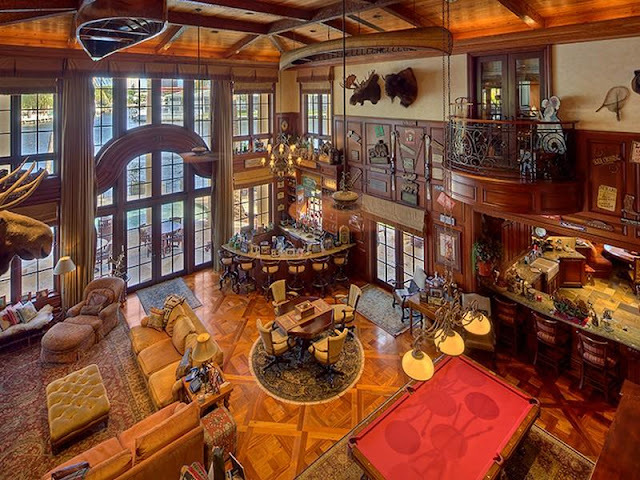 1,580 square meters (17,000 square feet) is the size of this house, filled with 31 room. 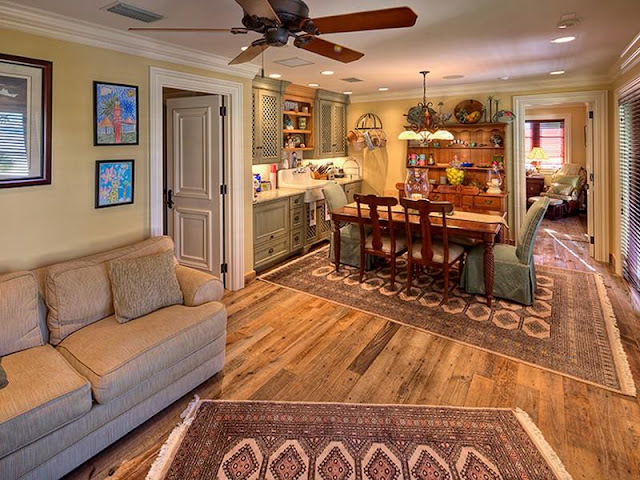 If you get lost in there, you can find kitchen with a breakfast nook, kitchen dining and formal dining area, office, library, great room, family room, media room, exercise room, wine room, storage room, laundry room, master bedroom with master bathroom, separate tub, shower and spa. 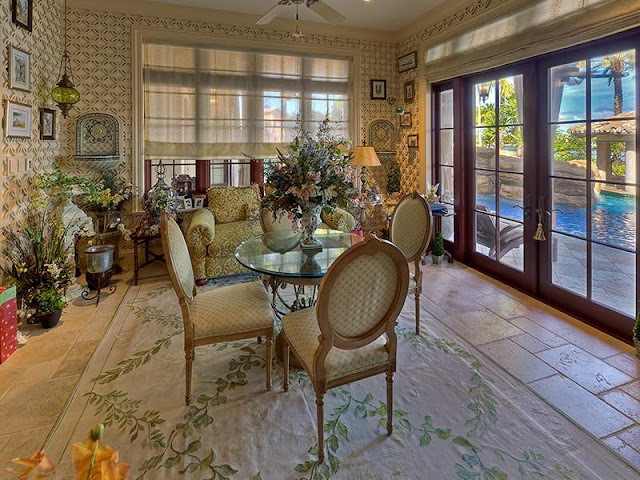 If you want more, there's guest room with two bedrooms, two bathrooms, kitchen and living room. Outdoor you can find huge pool with a waterfall, in-pool bar and jacuzzi. 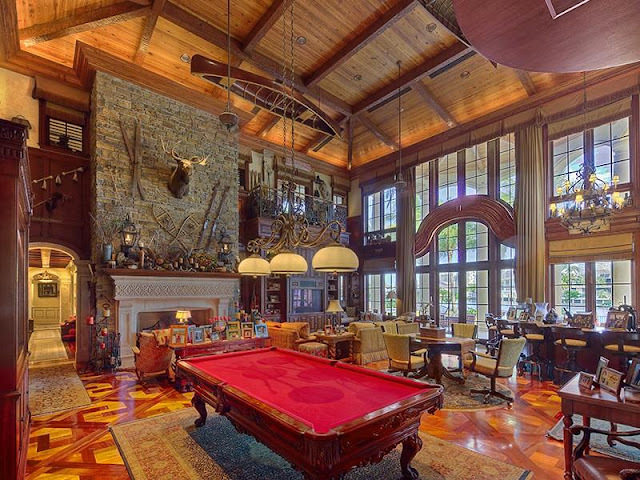 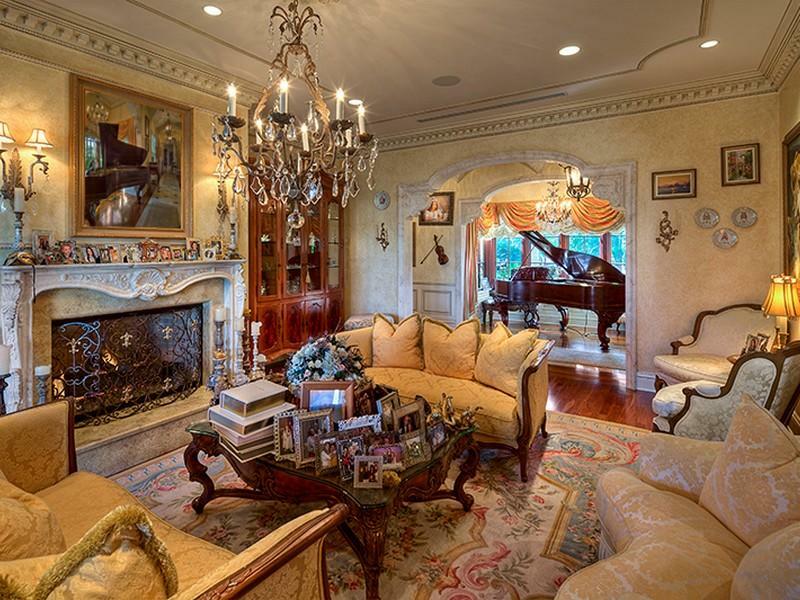 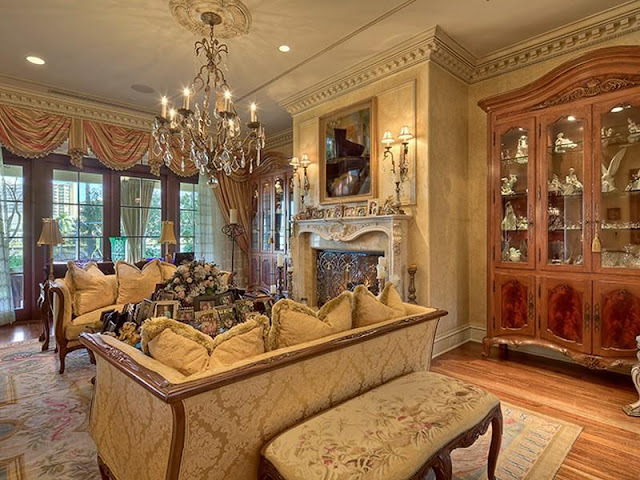 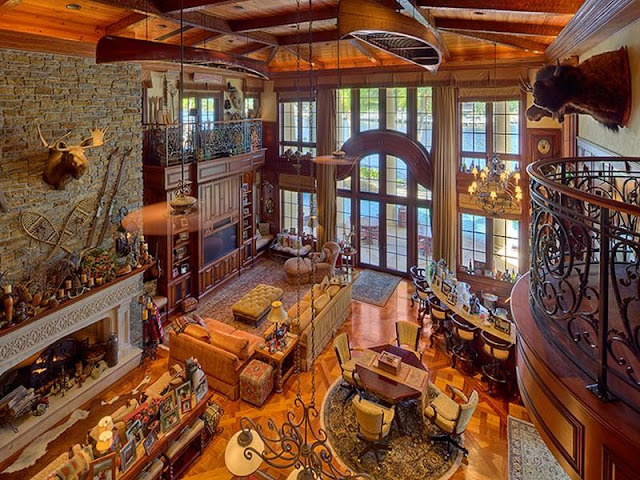 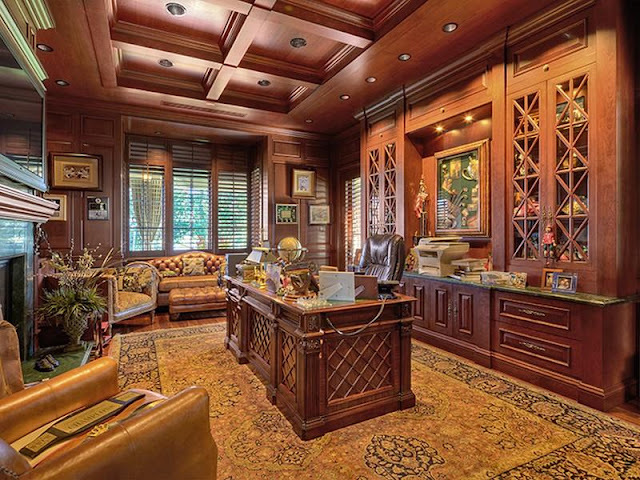 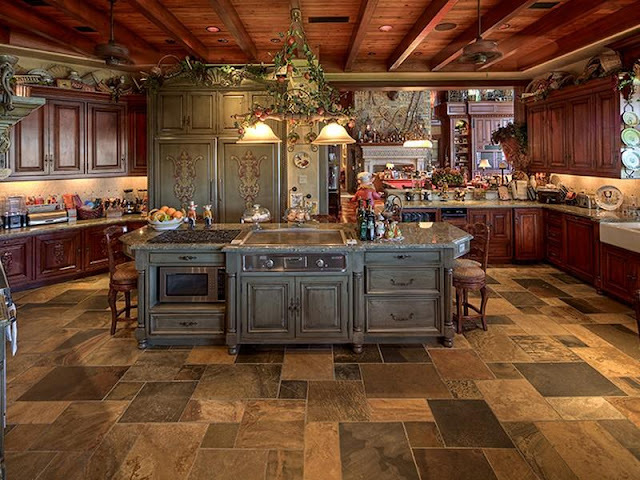 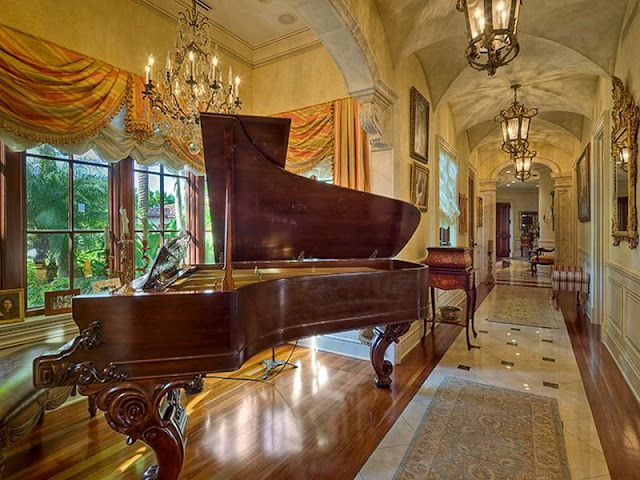 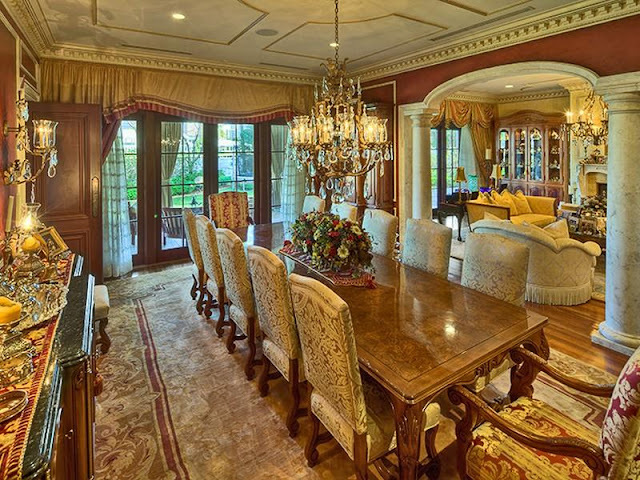 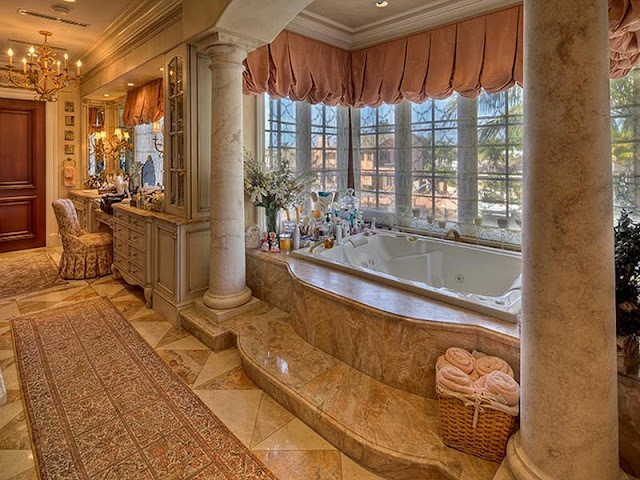 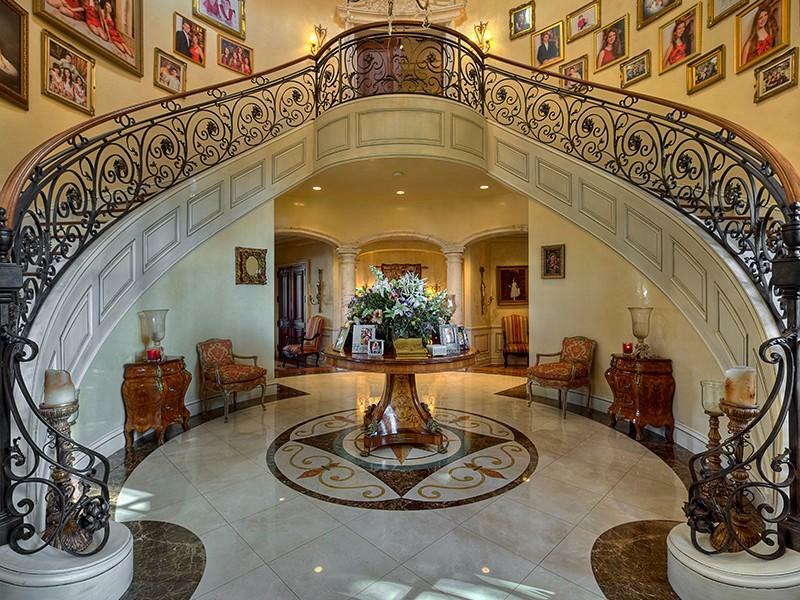 Believe it or not, this mansion is for sale. 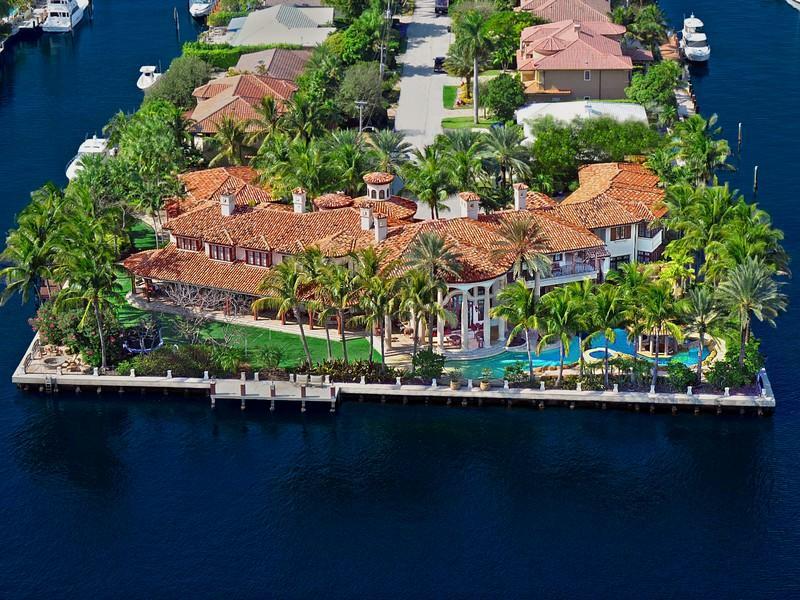 You can buy it here for $22,000,000.